Cannabis naturally grows in the wild, by crossing different landraces hybrid plants are created that can be selectively bred to stimulate certain characteristics. Nowadays, crossing indica and sativa-dominant plants are the basis for a hybrid plant. The intention of the seed grower is to obtain the positive qualities of both plants in the hybrid cannabis plant. Because of this, it can sometimes happen that an indica is mistaken for a sativa and vice versa. 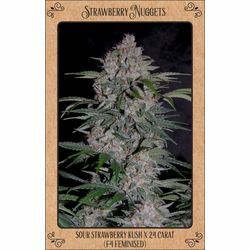 Like many other things in life, there will be disadvantages as well as benefits and by choosing a hybrid you significantly increase the odds that the seeds purchased will meet the requirements for that what you are planning to use them for. If you would like to grow a Sativa plant but dread the long flowering times and/ or large plants, choosing a Hybrid plant can offer a number of benefits such as reducing flowering times and still be able to enjoy a sativa high. Hybrid plants are well known for their growth capacities and are therefore very suitable to be used in a SCROG (screen of green) or in an SOG setup providing that sufficient height is present. • The outcome from the above, crossed with a ruderalis plant will give autoflowering hybrids. With the combinations mentioned above, there are almost infinite combinations of crossings to strengthen certain qualities or requirements, this should only be done by breeders who know what they are doing and can take care of high-quality offspring. 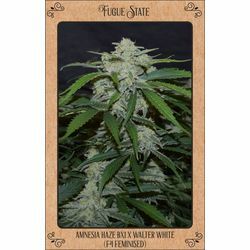 Reproduction of hybrid plants is the same as with other cannabis strains and breeders will also pollinate female plants with male pollen or when feminized with female pollen. Seed breeders make strict selections with larger amount of plants to find parents who meet the requirements that are set for the offspring. By breeding selectively, the grower ensures that each succeeding generation has more of the desired characteristics. The further in the generations (also referred to as F1, F2, F3 etc.) 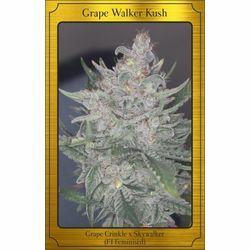 the more plants will meet the breeders demands, In sanniesshop we have strains available which have been bred for 10 years or more and due to that strains have arisen which may be called IBL (intensive wide line).